We create & theme special events in Bell Tents & Marquees at your choice of location! COOL CABANAS GLAMPING creates beautifully styled Picnics, Parties and Glamping experiences in luxurious bell tent retreats. Choose an amazing backdrop for your Bell Tent and get ready for an experience of a lifetime. Our bell tents are available for small group and multiple group bookings. 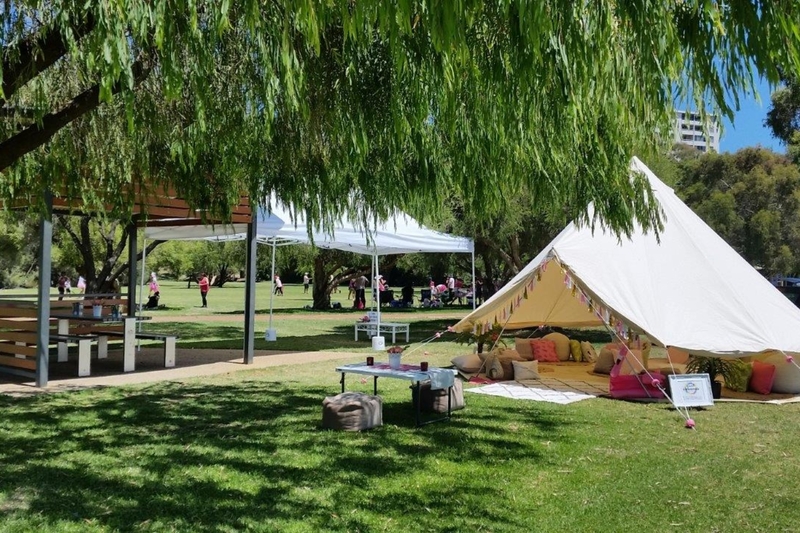 Choose from our extensive range of beautiful themes: Our Bell Tents are available as Picnic Tents, Party Tents, Glamping Tents, Wedding Tents or for Children’s Sleepovers. 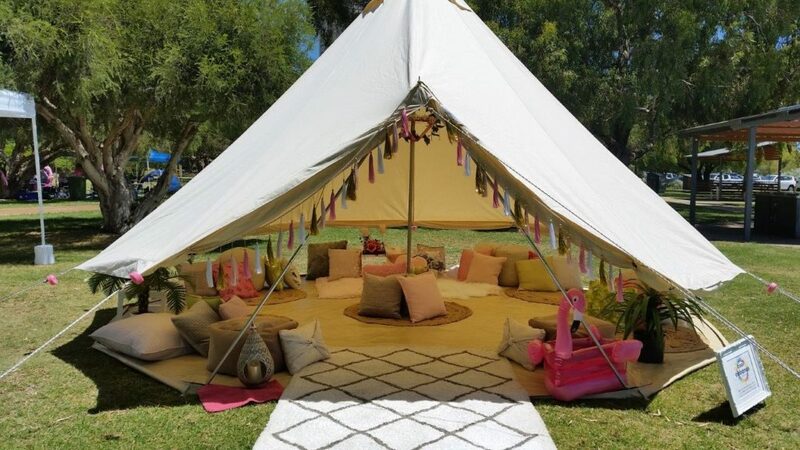 Our bell tents are ideal for couple’s retreats, romantic surprises, birthday parties, visiting guests, family get-togethers, children’s sleepovers, weekends away, picnics, parties, fancy dress occasions, hen’s nights, anniversaries, weddings and other special events. 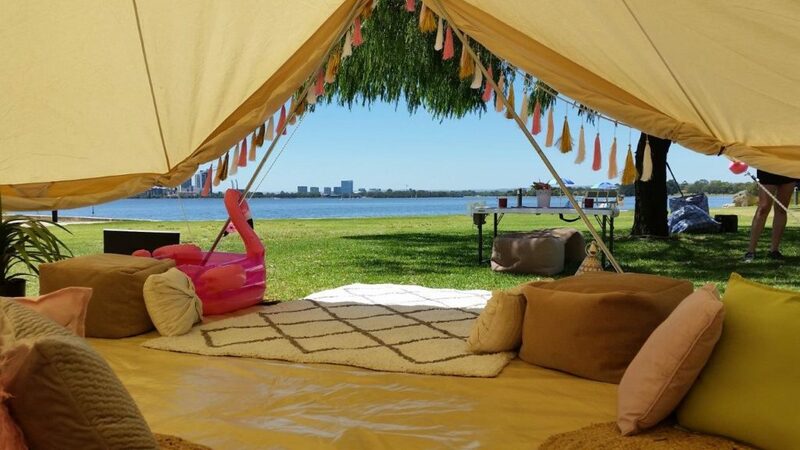 Pick your backdrop … lake location, grassed beach location, local park, public campgrounds or your own private property in Perth. Cool Cabanas Glamping will come and set it up and take it take it down for you. We include everything you need to set the vibe for your special event. Simply arrive at your chosen location ready to celebrate and party or relax in style. Be adventurous, be secluded, be wild, be free, be anything you want to be! 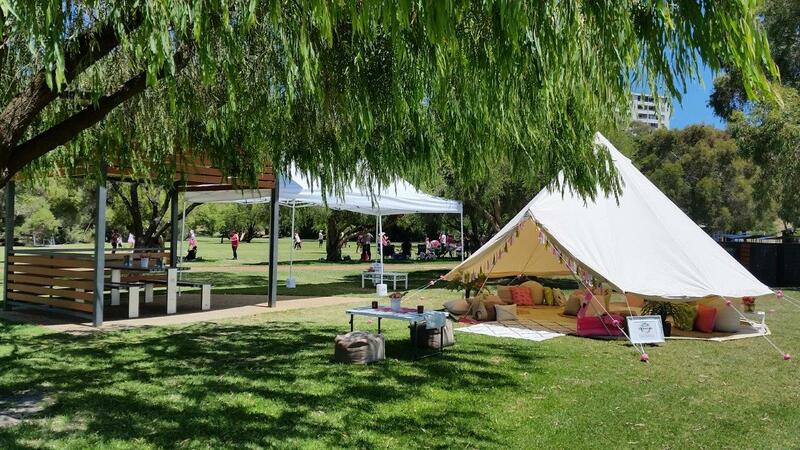 Our luxurious 5mt bell tents come to you fully installed and set up ready to picnic, party or relax in. All tents have windows, retractable sides and a double front entrance with mosquito net.